This magnificent off the beaten path journey will take us from Athens to Rhodes and Symi , Kos , Leros and Patmos . Rhodes is often overlooked as a package holiday heaven, but this Greek island has an enormous amount to offer. 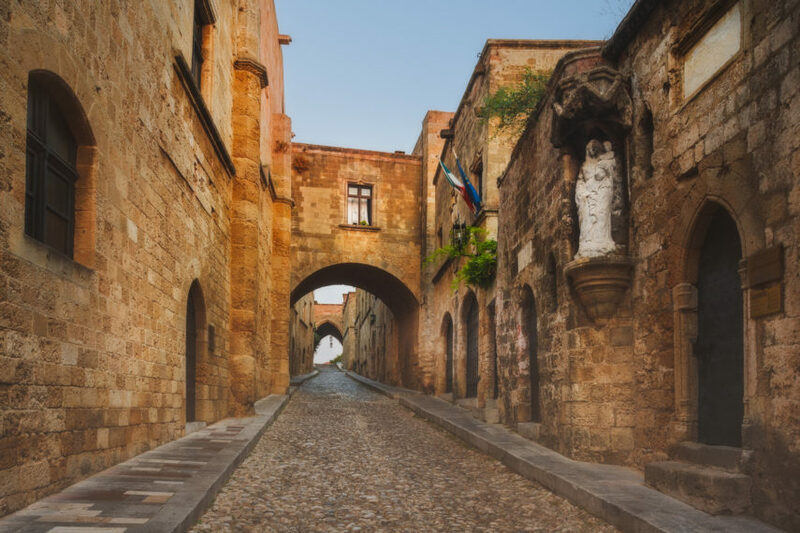 It’s true that the gorgeous climate (300 sunshine days a year) and the balmy Aegean Sea lapping numerous beaches are two of the main draws, but you’ll also be staggered by the weight of history when you visit Rhodes. The granite of Dorian settlements, marble of Classical sites and sandstone of medieval churches and castles are all tangible legacies of a long historical timeline. 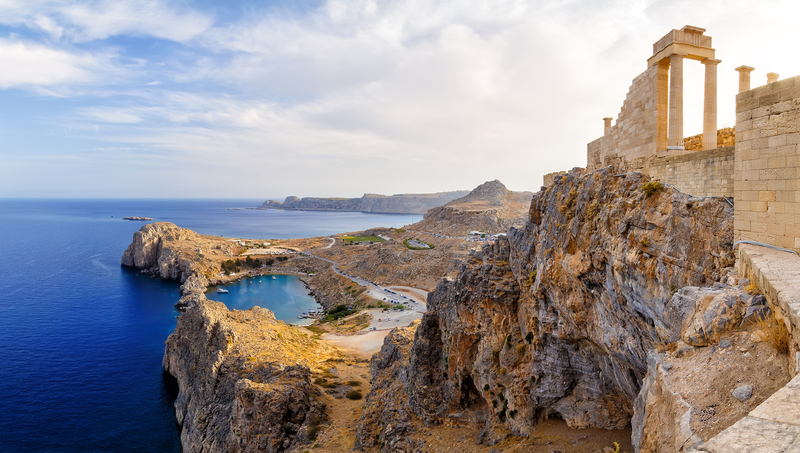 From the Acropolis at Lindos and the street of the knights we will sail to Symi island. 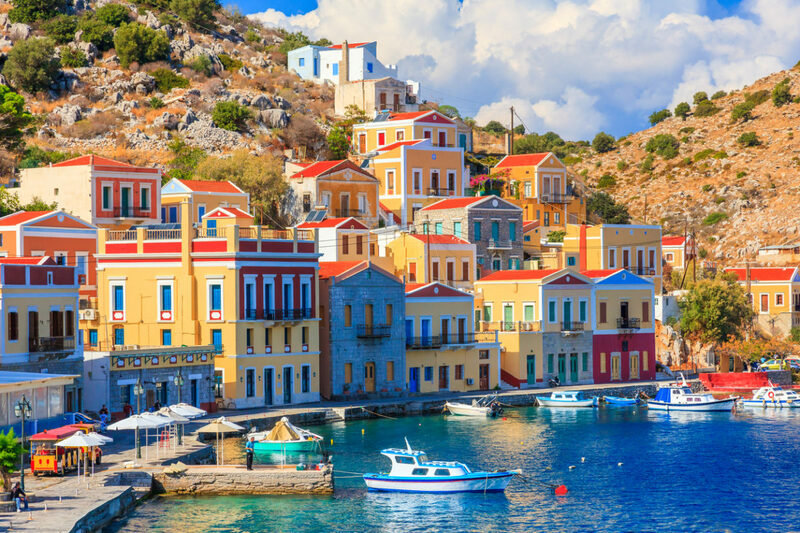 As you arrive at the beautiful Symi’s harbor for the first time it is like facing the painting of a Venetian village. The houses range from the harbor and climb to the top of the hill, where the Castle of the Knights is situated . 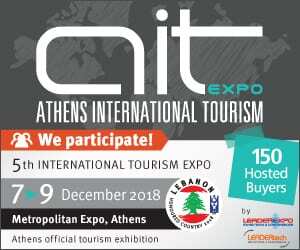 We will walk through the refreshing cypress forest of the area Kourkouniotis and visit reconstructed Byzantine wine presses and swim in crystal clear waters approached only by boats. the Father of Medicine, used to teach his students and examine his patients? The plane tree must be over 2,500 years old, and it is in fact the oldest in Europe! 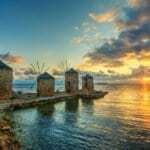 We will explore the 4th century Asclipiion, the Antimáhia 15th century castle with its imposing battle tower, as well as one of the most scenic villages of Kos with a distinctive traditional character, Ziá nestled among a dense cedar forest. Our next island is the island of Artemis , the goddess of forests and hunting, according to mythology. 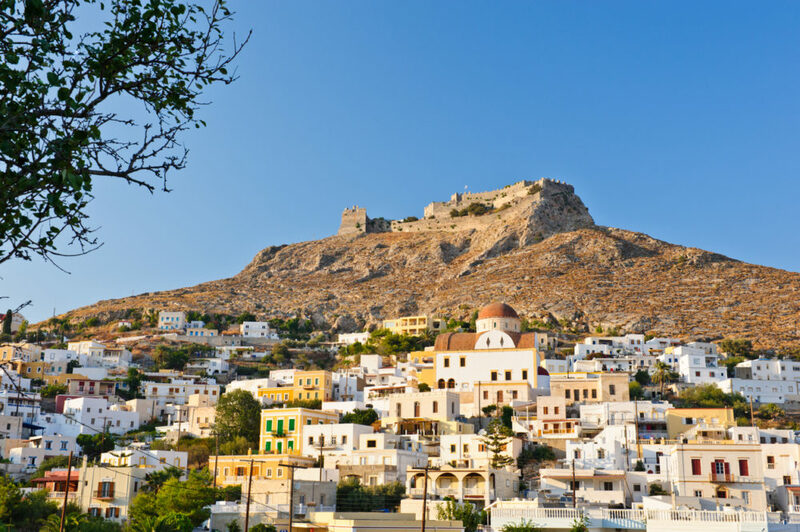 The island of Leros has a rich historical past which has developed due to its strategic position in the S.E. Aegean. 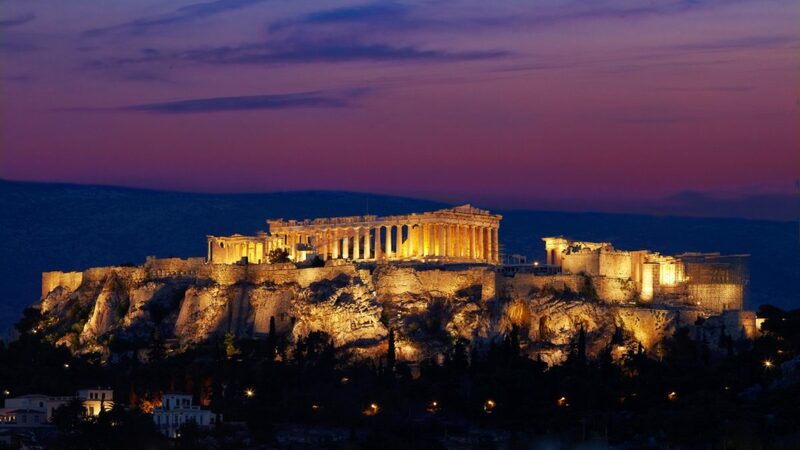 Evidence of its early importance in the history of Greece dates as far back as the Neolithic period and artefacts have been discovered at Partheni which date from about 8000 to 3000 BC. We will Swim in azure seas, admire exquisite works of Italian architecture in Ayia Marina, the capital of the island, and wander around centuries-old magnificent castles (like Brouzi and Castle of Panayia). monastery of Saint Ioannis and the Theologian Apocalypse cave and stroll around the narrow, maze-like alleys and the stone-built houses will take your breath away. 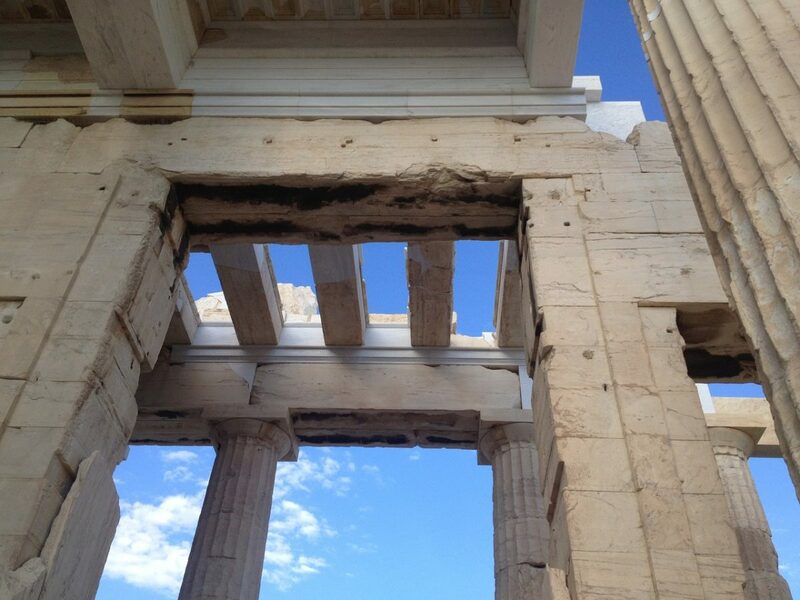 Athens : Acropolis and old neighbourhoods walking tour with a local. Rhodes : Cooking lesson and dinner with a local family . Symi : Private boat trip to secluded beaches with BBQ . Kos : Mingling with locals at a picturesque village. 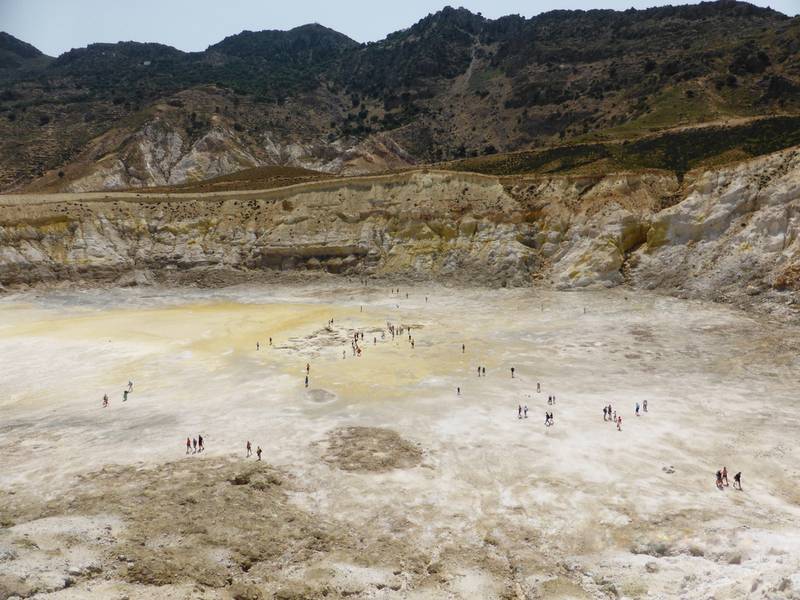 Kos : Visit the active volcano at Nisiros island . Patmos : Visit the Cave where St. John, the disciple of Christ, is said to have written the Book of Revelation (Apocalypse). 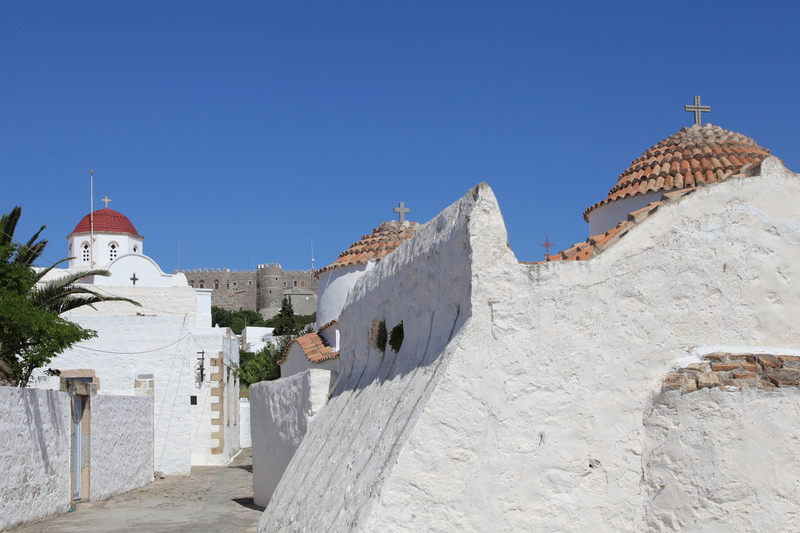 Patmos : Stroll through the wonderful whitewashed town of Chora, a UNESCO World Heritage Site. 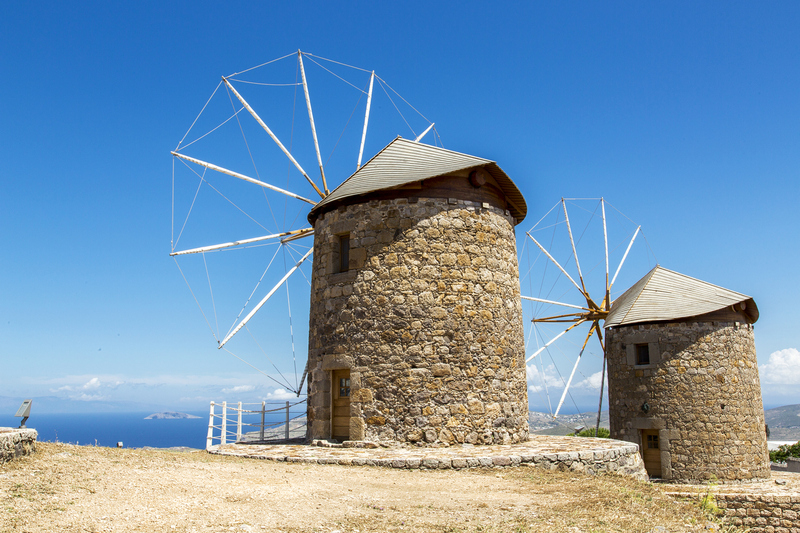 Leros : Visit the Medieval Castle , the windmills and the war museum . Day 2 Half day Athens/Fly to Rhodes Island. Early evening flight to Rhodes and check-in at our hotel. Free time to stroll around . Rhodes is an island in the Aegean Sea, the largest of the Dodecanese Island complex. 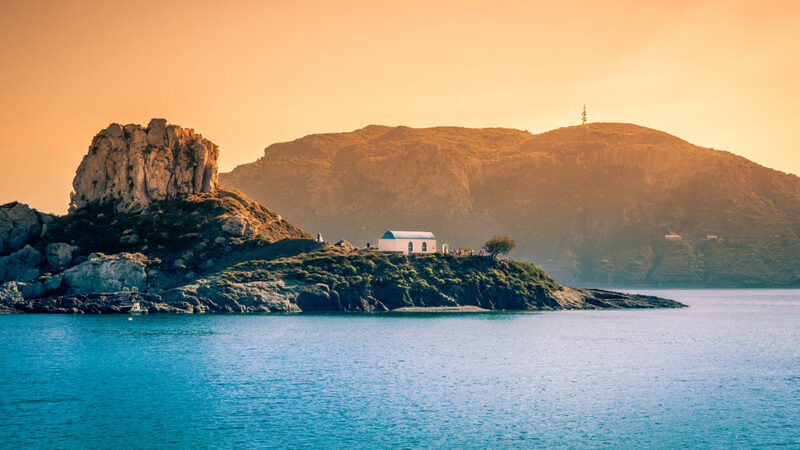 It is located at the southeastern edge of the archipelagos of the Dodecanese, facing the shores of Asia Minor, which are about 9-10 kilometers away. Rhodes has been inhabited since the Stone Age. Rhodes’ nickname is The island of the Knights. The Knights left imposing evidence of their presence in Rhodes, and gave to island the particular character it retains to this day, with its impregnable walls, gates, churches, hospitals, Inns and palaces . 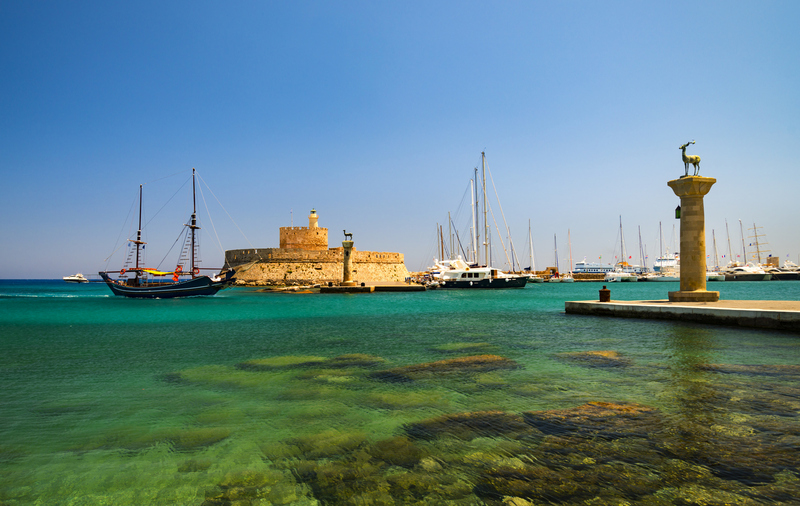 Today we will start our exploration of Rhodes with a tour to Lindos. Lindos is a medieval village,and provides a mix of history and beaches. The village has many historic houses (known as “Captains” houses) often dating from 16th, 17th or 18th century. The village itself is situated on a network of cobbled streets – all of which are entirely pedestrianised. The only modes of transport possible are donkeys and mopeds. The houses are small, whitewashed and sit beautifully on the hillside making it one of the most beautiful places on the island. The charm of this village is maintained by a preservation order which forbids any unauthorised building work to change it. Legend has it that the village was set up by one of the divine sons of Zeus. It was in fact established by Dorians around 1000 BC. On our way we will stop to a traditional ceramic factory , and learn Rhodes traditional craft. We will have a coffee at Seven Springs , a lush green area known for its tunnels and water springs before we reach Lindos . Here we will have time for swimming and lunch. In the morning we will explore this wonderful medieval city . With a knowledgeable local guide we will see all the historical sites and visit a family workshop of Byzantine Iconography . In the afternoon we will go up the mountains for wine tasting and dinner with a local family where you can participate in the procedure and learn the local culinary secrets. 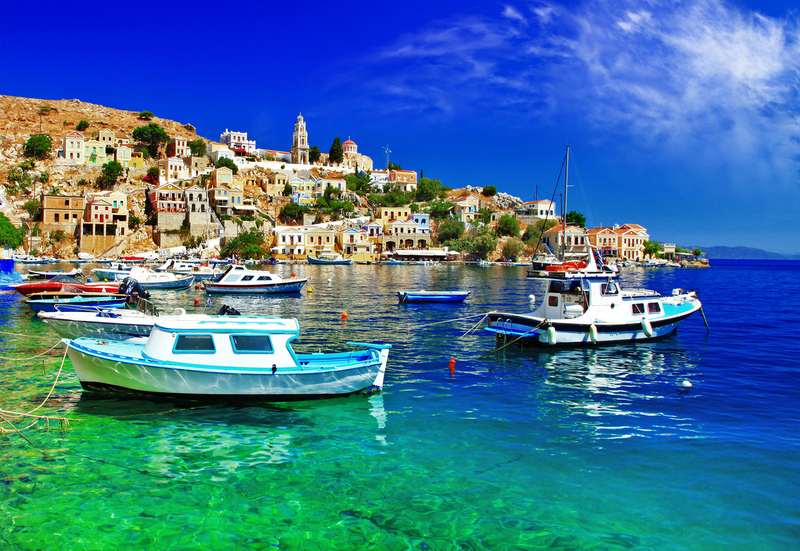 After breakfast we take a boat to the island of Symi. As you round the headland, you’ll be greeted by the breathtaking sight of cheerful candy-coloured buildings built amphitheatrical around the charming harbour. 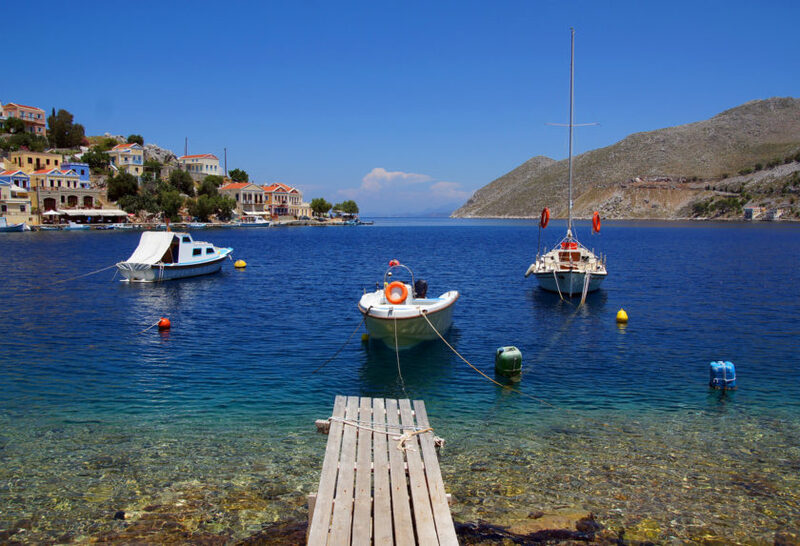 Take time to explore the picturesque harbor and Chorio. Today we take a boat trip and visit beaches only accessible by boat. We swim in turquoise waters and have a BBQ on the beach under pine trees. Our next stop is the island of Kos. the island of Kos is the third largest in the Dodecanese. It certainly remains one of the most verdant in the otherwise arid archipelago, with lush fields and tree-clad mountains, surrounded by miles of sandy beach. 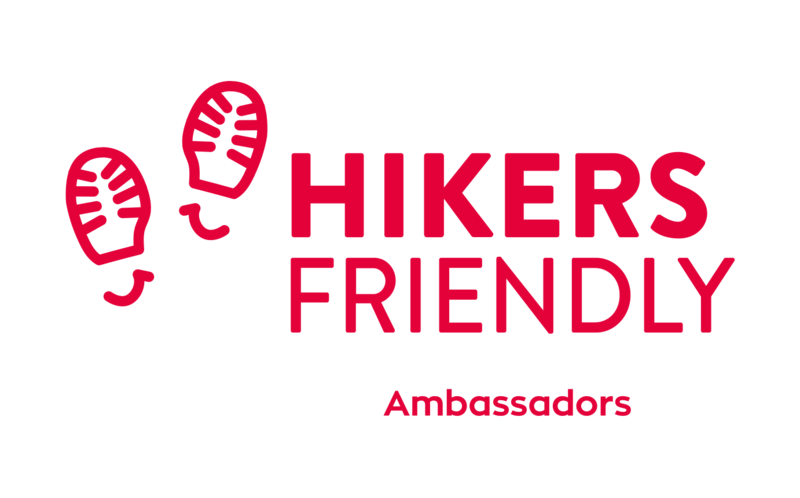 Its highest peak, part of a small mountain range in the northeast, is a respectable 2,800 feet. 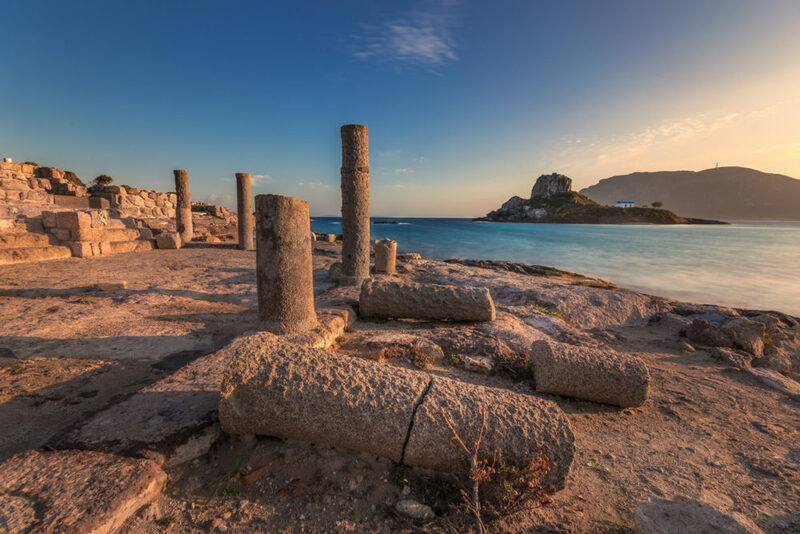 Kos is the birthplace of the father of medicine, Hippocrates, which was born on the island around 460 B.C. and founded the Great School of Medicine of Kos. The island is famous for its rich vegetation and its temperate climate and it was characterized by the Roman doctor Gallino as “the most temperate place in the world”. After our check-in we explore the capital, Kos, the interesting archaeological museum, the Kastro from the 13th century, where the knights of St. John had a stronghold, the plane of Hippocrates where he supposedly taught and read, as well as the Mosque of Gazi Hassan Pasha from 1786. In the afternoon we we visit a mountainous village for a taste of traditional local dishes and sunset views. Today we will take a boat trip to Nisyros one of the Dodecanese islands located between Kos and Tilos to visit the volcano of Nisyros.The island has a 3 – 4 km wide caldera, and was constructed within the past 150,000 years, with 3 separate eruptive stages, ranging from explosive and effusive andesitic eruptions to effusive and extrusive dacitic and rhyolitic activity. Its coasts are generally rocky or pebbled, but there are also a few sandy beaches (mainly in the northeastern part). The volcano is currently active (but not erupting), and fumaroles (openings emitting steam and gases) are found at the craters. It has had four historical eruptions, all of which had a VEI of 2. Almost all of its eruptions involved phreatic activity. The latest eruptive activity was a steam explosion in 1888, after small ash eruptions in 1871 and 1873 and earthquakes are not infrequent. Nestling among the hills in the northwest of the island lies the main town and port of Nisyros, Mandraki.The town of Mandraki is where the majority of the population lives and is a busy little town, with whitewashed houses, as well as quite a few traditional natural stone houses. 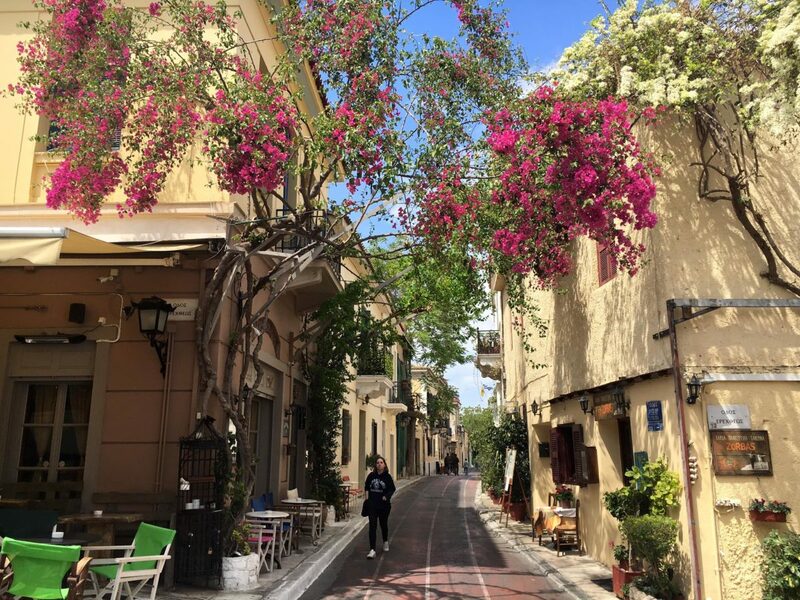 The centre of the town boasts a charming square where locals and tourists sit in the evenings to enjoy the culinary delights in the many tavernas. After breakfast we take a boat to the island of Patmos. 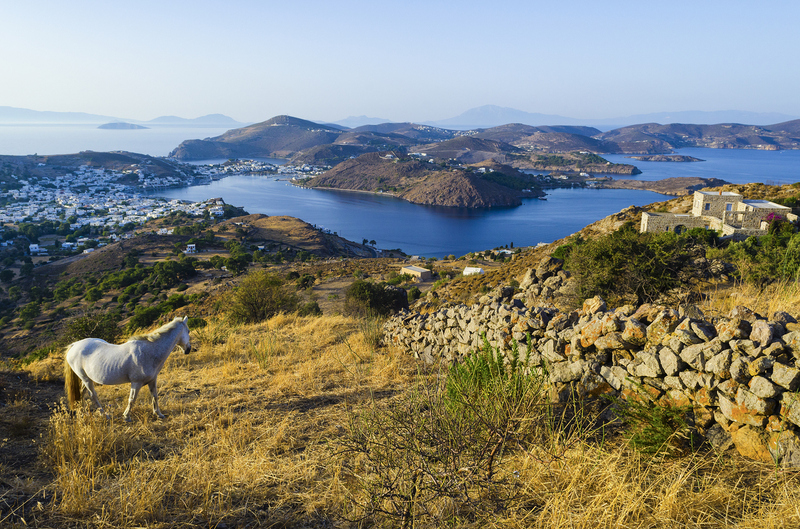 Patmos is the northernmost island in the Dodecanese group and is located north west of Leros and south west of Samos. It is characterized as ‘The Island of Revelation’ as Agios Ioannis the Theologian, wrote the Revelation in the Cavern of Revelation in 95 AD. Check-in at our hotel . Afternoon free to relax by the pool or walk around the small fishing village or swim in the nearby beach. Today you will discover why this beautiful island is frequently called “the Jerusalem of the Aegean!” In the morning, we will visit the historic Monastery of St. John. From there, we will head to the Cave where St. John, the disciple of Christ, is said to have written the Book of Revelation (Apocalypse). We will end our day with a peaceful evening stroll through the wonderful whitewashed town of Chora, a UNESCO World Heritage Site with many houses and churches dating back to the medieval era. After breakfast we will go around the island in a typical Greek boat , for a day cruise to a series of pristine nearby isles . We will have a late seafood lunch in one of the best restaurants only accessible by boat. After breakfast we hop to another small island Leros. According to mythology, Leros was first populated by the goddess Artemis. She had sent the Calydonian Boar to Aetolia, where the king’s son Meleagros managed to kill it. Having angered the goddess, he was killed, and his sisters were struck with grief. Artemis then turned them into hens and put them on Leros which was so fertile they would always have food. According to another myth. The first king of Leros was Thessalos, son of Heracles. 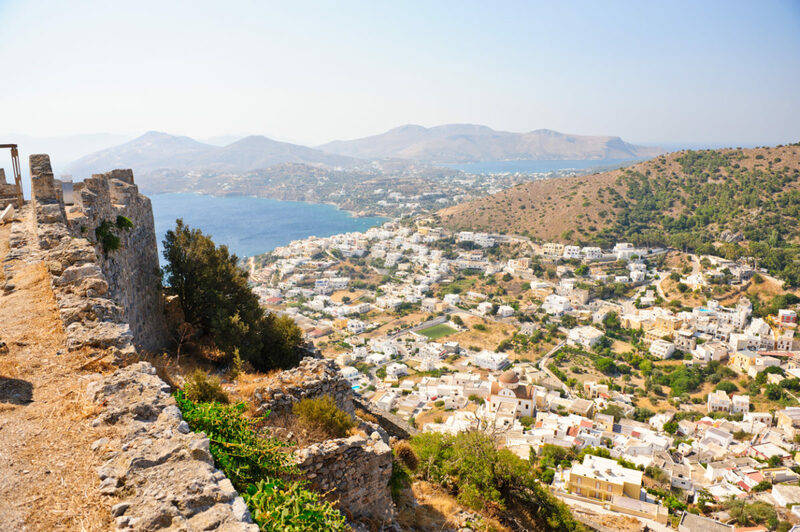 Leros is mountainous,a green island with high cliffs and many small bays and villages . Many of the buildings on the island are built in Italian style, but you’ll also find those typically Greek little white houses with blue doors and windows . We will spent half the day exploring this small gem .We will visit the Medieval Castle , the windmills the war museum which is housed in a tunnel built by the Italians during the Second World War. It is an impressive museum in a real underground environment . We will have lunch and catch an afternoon flight back to Athens. 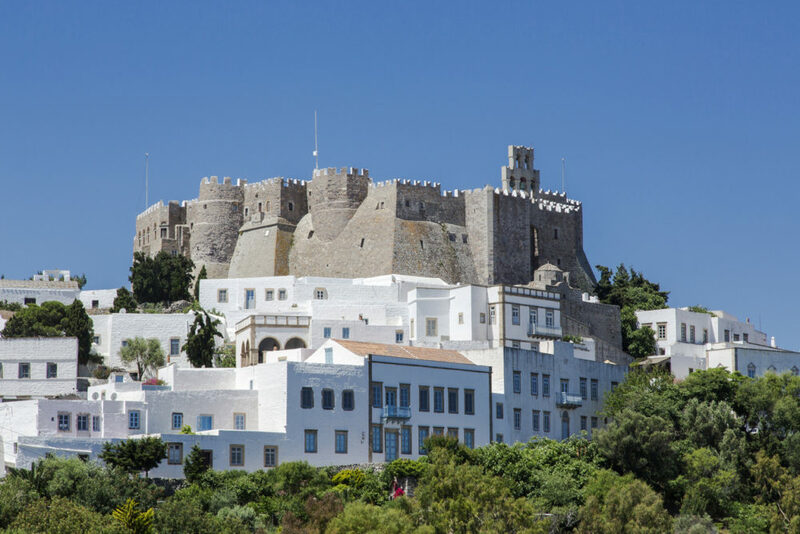 We will explore the 4th century Asclipiion, the Antimáhia 15th century castle with its imposing battle tower, as well as one of the most scenic villages of Kos with a distinctive traditional character, Ziá nestled amongst a dense cedar forest. 42 kilometers from the city of Kos, near the village of Kardamena and right on the Kamari beach, facing the small island of Kastri, lie the remains of two early christian basilicas of Saint Stefanos. The temples are dated to 469 A.D. and 554 A.D.
Old Town entered in the Register of Heritage UNESCO. Knight Building, Byzantine churches and mosques decorate the city.